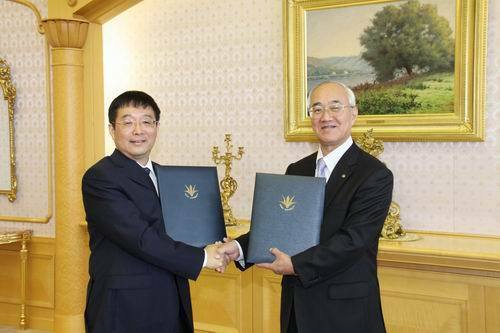 On the morning of October 20, 2011, the signing ceremony for the cooperation agreement between Jinggangshan University(JGSU) and Soka University(SU)) held at Soka University. Pesident of SU Yamamoto Hideo and President of JGSU Zhang Taicheng, on behalf of each university, put their signatures to the agreement and then held a friendly forum. 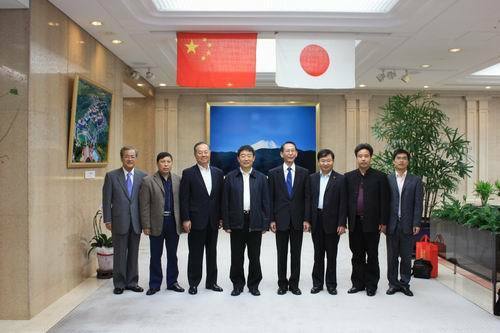 Tashiro Yasunori, Director of Soka University, heads of relevant departments of Soka University, and JGSU Vice-president Zeng Jianping and their entourage also attended the ceremony. At the forum, Professor Zhang exchanges ideas with Mr. Yamamoto Hideo on issues, such as interschool communication, personnel training, and students exchange, establishment of Ikeda Daisaku Research Institute at JGSU, etc. The two presidents also agree to speed up the academic exchange and cooperation between the two universities. 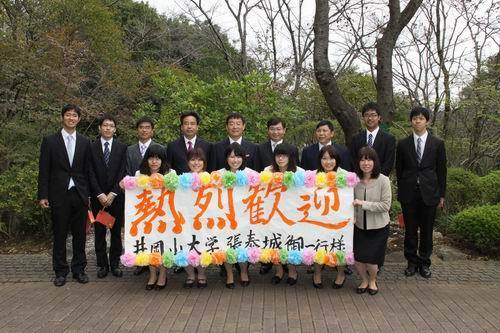 Authorized by Mr. Ikeda Daisaku, President of SU Mr. Yamamoto, presents Mr. Zhang a Chinese poem that is specially created for JGSU as a present. 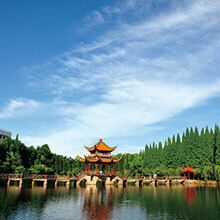 The poem reads that “JGSU, situated near the Gan River with a grand and majestic campus, features its succession and promotion of Jinggangshan Spirit. Flying Egrets is accompanied by leisurely white clouds, the ship sails towards a bright future.” President Zhang then invited President Yamamoto to visit JGSU at an appropriate time.